DéMars is creating Africa’s first true cryptocurrency and blockchain platform infrastructure that is tailored to the continent. The main problem that DéMars is solving includes providing the over 1.7 billion people globally without access to financial services with a reliable decentralised hash table-based platform. DéMars have made a major technological breakthrough, which solves a number of problems with existing cryptocurrencies and altcoins. By placing a blockchain in a distributed hash table and localizing the consensus DéMars have solved the speed and scalability issues of the current batch of cryptos. They have also solved the problem of high data costs and the network can operate in data constrained environments. This makes DéMars an ideal solution for cross-border remittances especially in developing nations. As such, DéMars seeks to adapt blockchain technology to Africa initially because most people only have access to mobile phones. As such, the platform aims to reduce high costs of remittance in Africa through a low cost, efficient, and mobile friendly solution. What is the unique proposition? What stands out about DéMars in comparison to other platforms seeking to offer remittance and financial services in Africa is the realistic approach. Most of the other platforms are simply copying platforms that work in other areas. However, Africa is unique. It has the lowest computer and internet penetration. As a result, hardware and internet-intensive options will not work. DéMars has realised this and decided to create its blockchain framework that will be tailored for the African financial market. DéMars will be mainly accessible through a mobile application. Mobile phones have better penetration in Africa than any other technological device. Basing the platform on mobile technology will increase adoption. Additionally, as a standalone blockchain, DéMars will be able to provide additional lending, insurance, and saving services to users. Merchant processing will also be adopted at latter stages to improve business access to financial services in Sub-Saharan Africa. The platform will work similarly to Ripple (XRP) and Stellar (XLM). In addition to this, DéMars seeks to delink its platform from local mobile transfer operators that are depended upon by extant remittance services. Instead, DéMars are developing their own DEX (decentralized exchange), based on the peer to peer model of localbitcoins. Though it is completely decentralized as there is no escrow and exchanges may occur within the protocol. 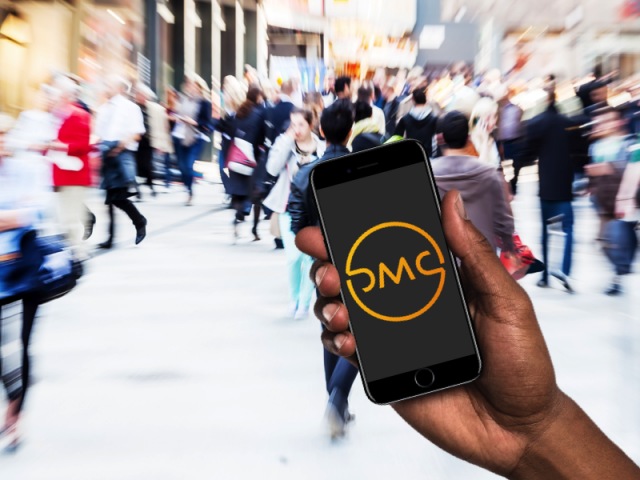 The “open architecture” allows other mobile money companies and fintech businesses to run DMC wallets and as such they can integrate with them, however, very importantly, DéMars does not rely on any 3rd parties. Users can simply trade their DMC locally via the DEX classified advert network and pay internationally. A review of the product and offering of DéMars shows that the team behind it has a unique approach to solving the remittance problem that has not been tried before. Our review of this section is 4.8 out of 5 because of the ingenuity in solving the problem while adhering to technological limitations. DéMars has a technical whitepaper that is 21 pages long. It is detailed and quite technical for the blockchain experts who want to understand the technology behind the platform. They also have a slide deck that seems to be an enhanced pitch deck. The pitch deck has more holistic information compared to the detailed technical whitepaper that concentrates on the technology. The most informative document is the 18-page project overview document on the website. It provides a balance between the simplicity of the pitch deck and the technical whitepaper. The graphics of the documents could use a bit of work to make them more attractive to readers, but they serve the purpose of disseminating information to potential investors. The whitepaper gets 4.0 out of 5, as it is quite informative. The website is appealing with a white and blue graphic design. The icons are attractive, and they all lead to a document or provide information. The design is simple yet elegant allowing a lot of information to be provided without overwhelming the reader. The website gets 4.5 out of 5 because of how interactive and attractive it is to visitors. DéMars is open about the people who are behind the project. All the individuals are verifiable professionals with a wealth of experience in finance and technology. The founder Shaun Burrow is a South African banker and serial financial services entrepreneur. Arun Raj is the inventor of the blockchain protocol and Head of Distributed Ledger Technology. Lindsay Luppnow is the head of Legal and compliance with her wealth of experience in corporate and financial law. Komal Gungah is the head of projects and marketing for the platform. Yann de Ravel brings 15 years of software development project management experience and Lomeus Cloete is has many years of experience as a software developer and integration expert at a number of banks and telecoms companies. Marno Roux is a security expert and experience fintech developer, who is in charge of mobile application security. Apart from Arun Raj, they all are from Africa with experience in Africa indicating an understanding of the problems facing the continent and consequently the ability to provide a platform that delivers on multiple fronts in the remittance sector. In addition to this DéMars has a Community Leader program. So far, they have community leaders representing the following countries: South Africa, Lesotho, Zimbabwe, Tanzania, Cameroon, and Nigeria. DéMars is also actively seeking to expand the Community Leader Program in other African countries to further embolden their foothold in the continent. The current head office address of the company is in Grand Baie, Mauritius, however for regulatory reasons, the crowdsale has been structured out of a Seychelles company. The team behind it does not have any fraudsters or people linked to previous failed ICOs. As a result, they get 4.7 out of 5. Based on the information provided, DéMars will not rely on Bitcoin, Ethereum, Waves, or any other existing blockchains. Rather, DéMars has created a new decentralized network that is based on a P2P distributed hash table. The key difference between it and its competitors is that the nodes connected to the platform will be mobile phones. The network works effectively in data constrained environments. The reason for this is the inadequacy of computer and internet access in Africa. As such it makes more sense to run nodes on smartphones that are more readily accessible in the African continent. The distributed hash tables (DHTs) is advancement to blockchain technology because it eliminates the need for nodes to store an entire copy of the entire blockchain, which is hardware intensive. The DHT allow nodes to store and balance data on the network without a central coordinating party. They also have a fault tolerance key/value retrieval system that allows nodes to join and leave the platform at any time. This is applicable in the Africa financial industry because it requires less reliance on powerful computers because of how the distributed hash tables work. Additionally, since nodes do not store a lot of information, phones can be used as nodes on the platform. Since nodes can join and leave at any time, the system will not be affected when individuals log in and exit sparingly because of the expensive internet or lack of cell network. While doing this, the platform will remain decentralised. Since there is no mining or staking, the operation costs are even lower than blockchain transaction costs. DéMars has already developed a prototype network with a unique consensus. In the prototype they used a Kademlia XOR network and forked the tendermint proof of stake consensus engine, to prove that the concept is viable. A very small transaction fee will be provided to ensure that the platform is secured against DDOS attacks as well as adding more features and supporting merchants. We are impressed by how innovative DéMars is. 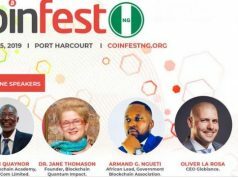 Instead, of using the same formula that other platform use like creating an Ethereum-based platform, they opted to create their Mainnet using DHT technology that better solves the problems in Africa. As a result, the technology behind the platform gets a solid 4.8 out of 5. DéMars will have a hard cap on the total number of tokens that will be on the platform. This will be limited to 10 billion DMC. The hard cap on the total supply does help prevent deflation of the coin due to the additional supply of tokens that can water down the prices. There are two reasons why DéMars have opted for this apprach. Firstly it reduces the regulatory risk as tokens are distributed primarily via regulated entities. Secondly, it allows the issuer to work on stabilising the price of the token, which they target to maintain at €0.01 per DMC. The “stability” will be maintained by holding a basket of various commodities, loans and securities, as proposed by Friedrich Hayek in his 1976 classic, The Denationalisation of Money. Why EUR? Though the USD is often quoted for international business and is accepted as tender in most African countries, in reality most local currencies move in step with the EUR as the Eurozone is by far their largest trading partner. It is thus easier to manage the stability of DMC versus a basket of local currencies in Africa. The only issue is that DéMars token will only have two decimal places. This does raise an issue of how the platform will work when the value rises to the point that transactions will be conducted in decimal DMCs. Based on our assessment of the token economics, we will give it a 4.0 out of 5 mainly because of concerns with the limited number of decimals. The Market DéMars is venturing into is quite lucrative. The mobile money market in Africa is rising faster than the banking industry. It is a good bet for DéMars to concentrate on mobile money merchants instead of banks or wire transfer agents. There are millions Africans in the diaspora, and they all want a safe channel that they can use to remit money to their loved ones. Additionally, there are several other million, inter-Africa migrants that usually send money back home. Case in point, there are three million Zimbabwe migrants working in South Africa who send home close to $1 billion a year. Additionally, Africans within the continent are also looking for safe, cheaper, and faster ways they can send money to each other. There are 1.7 billion African without access to affordable financial services which is a huge target for DéMars. The remittance industry in Africa has some stiff competition. Companies like Western Union and World Remit have the lion-share of the industry. Besides this, DéMars seeks to rollout other financial services on the platform including loans, insurance, and savings, among others that are dominated by local and international financial institutions. Therefore these financial institutions, such as banks, and insurance agencies, are also key competitors to DéMars. For instance, banks control a sizable chunk of the industry while some blockchain-based platforms are being developed like the Satoshi Coin. However, DéMars has the upper hand because of the technology that is used. It will be more affordable than these other platforms and more practical than the other blockchain-based platforms. As a result, there is a high likelihood of success if the platform can execute the business based on the existing model. With the prototype already providing evidence, it is clear that DéMars can carve out a share in the billion-dollar remittance market in Sub-Saharan Africa. This gives the potential of the market 4.0 out of 5 because the growth will most likely not be instantaneous. A lot of marketing and branding will be required. There are a dime a dozen blockchain-based platforms aiming to be international remittance companies. However, DéMars has differentiated itself from these businesses in two main ways. DéMars also has its own peer to peer network that allows users to trade DMC to local currencies and vice versa thus increasing convenience and efficiency. We believe that the business model is viable and the team behind it understands the African market and its unique needs. No business is perfect. DéMars did have some issues. A critical concern was the fact that the decimal places in the token economics are only two (as compared to an Ethereum token average of 18). While this may not be a problem at first, in a few years when the value increases there will be a problem with micro-transactions that may require more than two decimal places. The likelihood is that DéMars will do something similar to Stellar and Ripple by minting some more coins. It is unconventional but important to note. Secondly, the market is quite competitive, and already there are established players who have a sizable market share. While DéMars is better in almost every way, there will be a need for a lot of marketing and branding required. 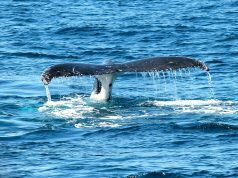 Despite these concerns, DéMars seems to be a solid project with a solid team and a unique approach to a real problem. The DéMars team is already creating affiliate networks that rely on community leaders who will act as the change agents. The aim is to have over a hundred thousand change agents in five years, in a system similar to M-Pesa. 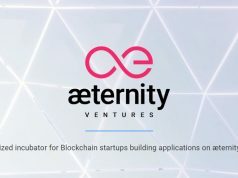 Previous articleæternity Africa showcases crowdfunding on the blockchain.